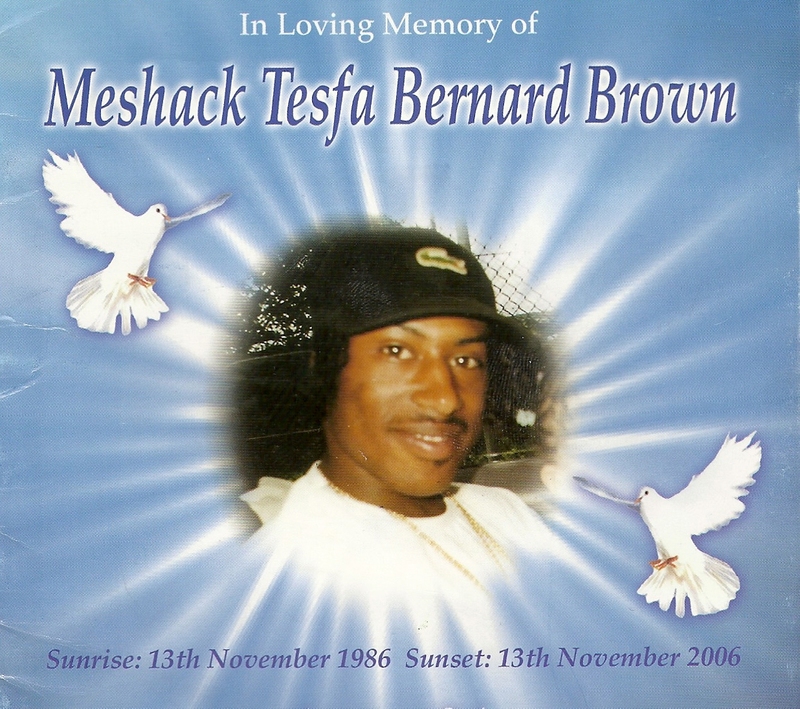 “Happy 24th birthday Meshack. You were a beautiful angel born on this special day, but sadly and senselessly you were taken away from us on this day too. You are deeply missed and loved by so many. You were truly one of a kind, a beautiful handsome decent guy. Your physical presence may not be here with us, but your spirit is always. We will always celebrate your special day and your life, Meshack stylee. Love from your Queen Shereen and your Princesses Shackya and Meshanne. This entry was posted on November 30, 2010 at 8:06 am and is filed under Newsletter with tags Newsletter. You can follow any responses to this entry through the RSS 2.0 feed. You can leave a response, or trackback from your own site.